Investing in mortgages should not be looked at with trepidation. As with other cash flow investments such as corporate bonds, government notes, or money market funds, mortgage investments can be looked at in the same vein. Mortgage investments have an attractive risk-return ratio in comparison to other income-producing investments. If you choose your investment intelligently, individual short-term mortgages (which I define as first deeds of trust on real estate with 65% loan-to-value (LTV) ratios, maturing in two years or less) are considered more risky than money market accounts or US Treasury bills, but they offer yields at the level of high yield corporate bonds, or even higher with potentially lesser risk. Chart 1 shows the general risk* of short-term mortgages as compared to other income producing investments. * Risk in terms of loss of principal taking into consideration opportunity costs if interest rates rise. Generally, individual mortgages do not trade in the open market; thus, the principal is not subject to market fluctuations (as compared to Gov’t T-Notes, Gov’t Notes, and Corporate Bonds. In addition, mortgages that have a 65% LTV enjoy some protection if the underlying property declines in value. Gov’t Notes and Bonds have no collateral backing but are Gov’t backed and Corporate bonds usually have no specific collateral and are based upon the full faith and credit of the issuer. Chart 2 shows the general return of mortgage investments on a current rate of return as compared to other income producing investments. Chart 3 is a grid that shows the comparative advantage of mortgage investments over alternative income producing investments when considering opportunity risk/reward ratios by combing Charts 1 & 2. Mortgage Investments — 1st deeds of trust on real estate with 65% loan to value maturing in two years. Risks involved in mortgages vary from the other investments that financial advisors might be more familiar with and more due diligence is required. First of all, unlike CD’s or US government obligations, mortgage investments are not FDIC-insured and have no government guarantee. Do not confuse these types of mortgage investments with past GNMAs, the pooled investments created by the quasi-governmental mortgage company Ginnie Mae and sold to the public. GNMA’s are mortgage-type investments and have a quasi-government backing. By contrast, the mortgages used in the above examples are individual mortgages; thus, the principal is fixed and does not fluctuate unlike GNMA’s, which return a portion of principal with each interest payment and trade in the open market and are thus subjected to market volatility. The mortgage investment’s backing is primarily going to be the underlying real estate on which the mortgage is recorded (specific versus blind pool) and almost all short-term mortgages will pay interest only, thus keeping the principal intact. However, all income-producing investments carry some risk — and it’s often misunderstood, even by sophisticated financial advisors. For example, money market funds generally are only backed by the mutual fund’s integrity to honor the $1 share price because all they are holding are short-term obligations, both government and corporate. However, in the early 1990’s, when many corporate bonds went sour, investors suddenly learned that their $1 share price was not guaranteed; they could actually lose principal. The mutual fund families that sponsored the money market funds paid out of pocket to subsidize the share prices, thereby preserving the sacred cow. Corporate bonds carry the risk of strength and integrity of the corporation that issued the bonds. Independent rating services such as Standard and Poor’s and Moody’s have been shown to misjudge the security of many corporate bonds — whether through conflicts-of-interest or simple mistakes. Even without misjudgments, the price of a corporate bond fluctuates based on the performance of the company, its industry, and the economy overall. In addition, as interest rates rise, the value of the bonds decrease. The risks that a mortgage investor faces primarily involve the borrower and the underlying real estate. 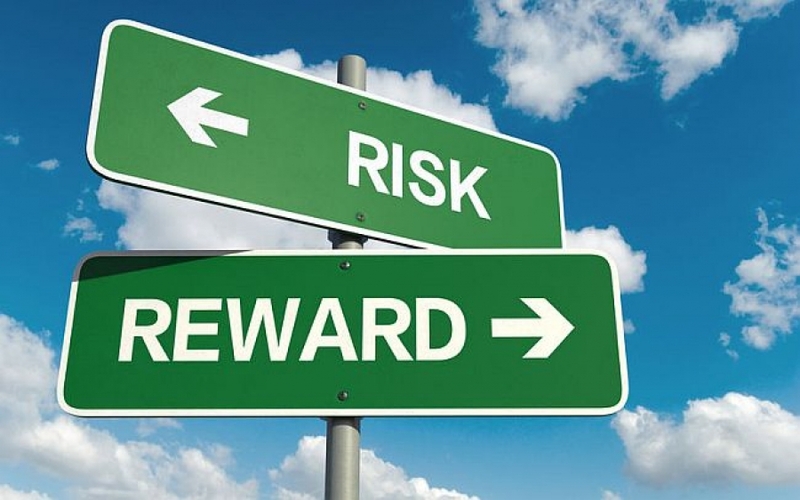 An investor may choose to work with a borrower with less than perfect credit if there is sufficient equity in the property that it is worth the risk. Alternatively, a property may be marginal, but the borrower has excellent credit. These are the main factors determining the interest rate that an investor can expect on his mortgage investment. Another factor in determining the rate on a mortgage is the competition for these types of investments. In the past, they were considered one of the best kept secrets in investing. No longer. The competition for mortgage investments has heightened to where lenders are competing for loans. This, in turn, drives down the rates. Good for the borrowers; not so for the investors. On the positive side, what once was considered an illiquid investment has risen to a semi-liquid investment. Although there is not a trading market for mortgages as there is for stocks and bonds, new companies have come to the marketplace in search of purchasing existing loans; thus, a market has opened up providing liquidity to those holders of mortgages who want to sell their loans. Giving up yield for liquidity has been attractive to some investors. The yield may be upwards of 1% lower for this ability to sell, but many have decided it is worth it. An Internet search of purchasers of mortgage investments provides many companies willing to buy them. With the Great Recession now more than five years in the rear view mirror, many financial institutions have loosened some of their lending restrictions. This has also caused interest rates to remain competitive for borrowers. However, because of strict regulations with Dodd Frank and the ATR [Ability To Repay] requirements imposed upon both conventional and private lenders, many borrowers are facing difficulties obtaining the financing necessary to purchase owner occupied real estate used for their primary residence. Otherwise, relatively strong borrowers sometimes have a hard time qualifying under government imposed strict guidelines. With the increase of real estate outpacing borrower’s income, many would be home buyers are facing the hard fact that they no longer qualify under the bank’s ratios regarding how much of one’s income compared to the mortgage payment. They face the alternative of either losing the home they want to buy or use a private lending company to furnish the funds needed to purchase the new home. In these cases, the lending company provides the loan to purchase the target home while the borrower attempts to sell the old home. When the old home sells, the proceeds are then used to pay down [or off] the target property thereby putting the borrower in a position to refinance with a conventional lender. One of the major problems holders of long-term debt instruments (be they government or corporate bonds) encounter is not so much the risk of failure, but the opportunity cost during rising interest rates. As interest rates rise (as we are slowly starting to see now), the investor is caught holding investments that are losing principal, albeit temporarily. Sure, these investors can hold on to lower-return investments until maturity, but the price they pay in the lack of opportunity to participate in higher yielding instruments usually outweighs the wait. Of course, in times of declining interest rates, one would be better served to be in the longest-term bond possible and to sell just as interest rates begin to rise. The question then becomes one of using a crystal ball in which way interest rates are headed. One solution for the risk-averse investor is to look to short-term mortgage investments (no more than 5-year maturities) for relatively high current monthly income (approximately 8% as of this writing). The shorter maturities guarantee the investor will not get caught holding low-interest investments if interest rates rise as the mortgages mature and new ones replace the old ones at whatever the then prevailing rates. In addition, if loans are 65% LTV or less, then the value of the underlying property could decline by one-third and the investor’s mortgage is still covered. The investor needs to examine the underlying real estate and ask himself if he would be willing to own it for the mortgage he is considering. For example, if the property appraised for $100,000, would the investor be willing to own it for $65,000 (his investment in the mortgage)? The Great Recession saw real estate values decline; however, they generally did not crash but had a prolonged [3+years] decrease. Thus, for those holding short term mortgages, they still had enough equity in their investment and the borrowers either sold or refinanced the mortgage before it declined too much. Where do investors (and their advisors) find these short-term real estate mortgages? There are lenders called “private money real estate lenders” who provide private financing to borrowers who may not be able to obtain conventional loans for a variety of reasons. Advisors should primarily deal with lenders who have a good reputation and record the deed of trust. In some cases, investors may want to invest in a specific mortgage because they know exactly which property is securing their investment; however, the down side to this strategy is that there is now a lot of competition for these types of loan investments and one may be sitting on the sidelines waiting for an opportunity to invest. If the investor’s money sits too long [in a low interest, liquid account waiting to deploy funds for a new loan], the blended rate of return after the loan is found and invested in may be lower than if the investor invested in a Fund that holds mortgages. For example, if an investor allows his/her money to rest in a money market fund paying 1% and it takes six months to find an 8% note, after one year, the average rate of return for that year was only 4.5% as compared to a Fund that may pay 7%. Something else to consider is that a Fund may allow for a reinvestment of monthly distributions thereby compounding the yield. With an individual mortgage, the lender has to take the monthly payments with no reinvestment allowed. In addition, a Fund allows for diversification because the Fund has many mortgages, similar to a mutual fund holding a variety of stocks. Because this type of investment is no longer a secret, many individual investors are competing for mortgages. When a broker presents a potential scenario to an investor, that broker usually also sends the same scenario to many other potential investors, as the broker wants to make sure that he can fund the loan in a timely fashion to the borrower. Many an investor has gotten upset when, after giving the broker the green light for the loan, the broker informs the investor that he was too late and some other investor snapped up the loan. This creates a frustrating situation for the investor and wastes his time. At some point, the investor may tell the broker to stop sending him deals, as he never knows if he will be allowed to invest in the specific loan [because another investor was faster in saying, “yes”]. Many investors choose to invest in a Fund to avoid those disappointments. In addition, many Funds provide a liquidity feature, so the investor can withdraw his money if he needs to. Advisors should look for Funds that charge no load to get in or out and make sure the manager of the Fund’s interests are aligned. One way is for the Fund to participate in the points being charged to the borrower. This lends itself to make sure the manager does not charge a large amount of points [which the manager could retain] and a small interest rate [which is paid to the Fund]. Although short-term mortgages and mortgage Funds are not the “end all” investment, they may play a prominent place in many investment portfolios looking to provide high yields for relatively low risk and the potential availability for some liquidity. Preservation of principal is a key role for many clients, and advisors would be smart to consider short-term mortgages for their clients.